Writer’s block can happen at any time, usually just as you’re about to sit down in front of the computer and type your masterpiece. It doesn’t matter if you have a five-page personal essay, 10-page short story, or your master’s thesis ahead of you; sometimes, the words you put to the page simply don’t come together. That’s when it’s time to take a strategic look at how to get past your writer’s block. Here are 10 helpful ticks and tricks to help you get your writerly engine going again! Instead of distracting yourself by checking social media or reading the news, unplug from your computer for a bit. 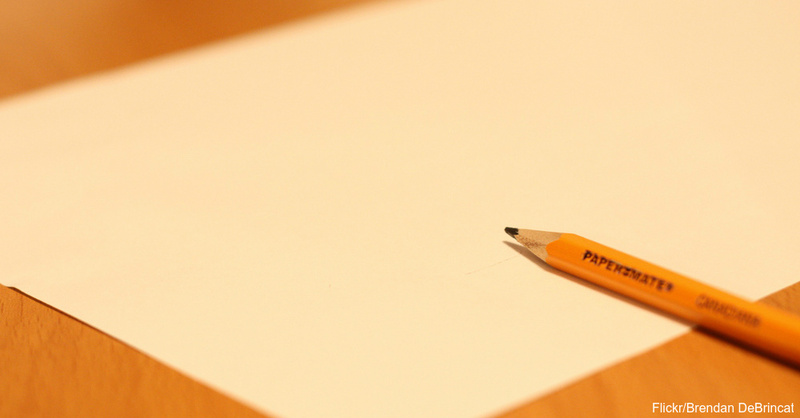 Grab a pen and a piece of paper and start writing the old-fashioned way. The physical act of putting words to paper actually increases brain power by making more neuronal connections within your brain, so this may foster a more efficient thinking process. Try to change your surroundings to give your senses something new to interpret. Set up on your back porch, your favorite coffeehouse, the local library or at a friend’s house. See if inspiration hits you along the way as you contemplate what to write. Read for 30 minutes before you even start writing. It doesn’t matter what you decide to read, but concepts from another person’s perspective may get an idea churning inside your head. Make sure you enjoy the topic you read, whether you delve into the latest news, Shakespeare’s sonnets or essays from Stephen Hawking. Inspiration may jump out at you from any source. Engage in an activity that has nothing to do with reading or writing. Exercise, take a walk outside, clean up the kitchen, play with your cat or do anything mundane. Instead of staring at a screen or a book, give your body something else to do and get your blood pumping. After this physical activity, sit back down and get ready to write. Start in the middle or at the end of your piece instead of the beginning. Go back to your outline, and see what jumps out at you. Start with the most interesting aspect first, and work from there. The rest of the piece should come to you eventually.